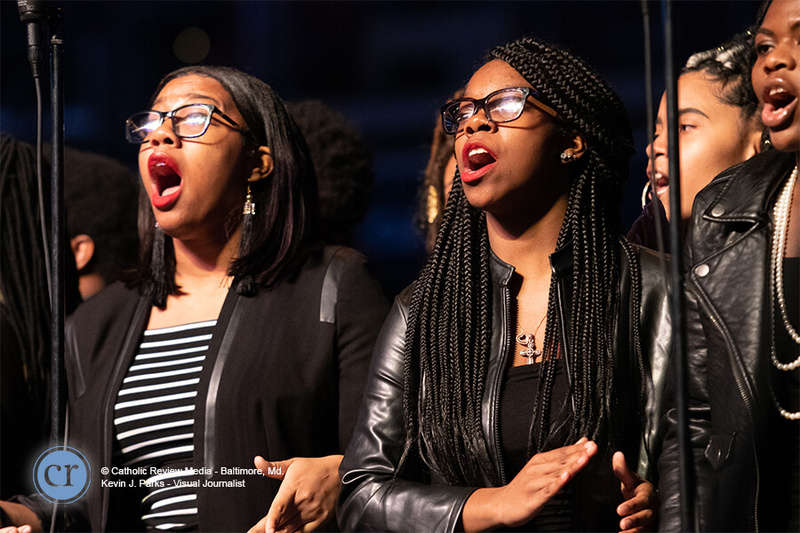 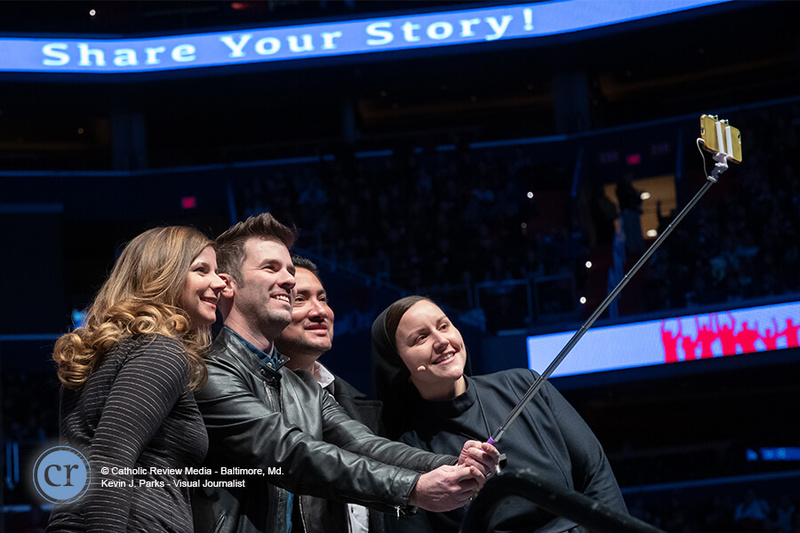 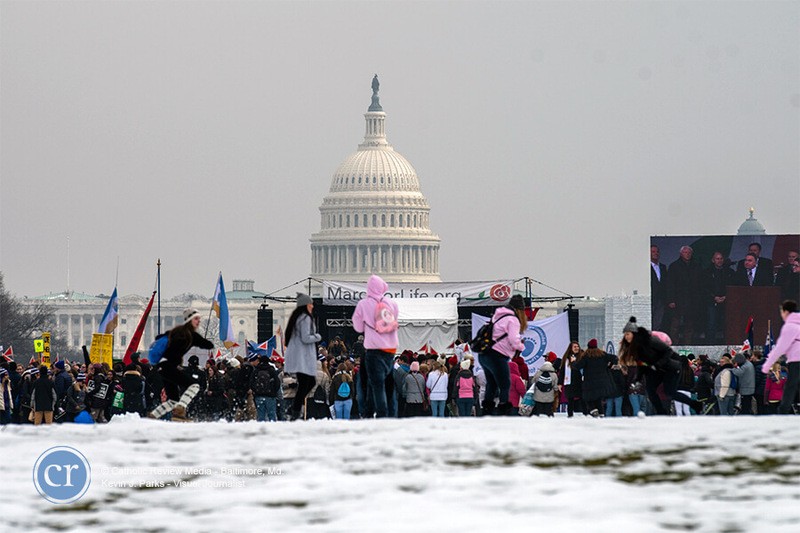 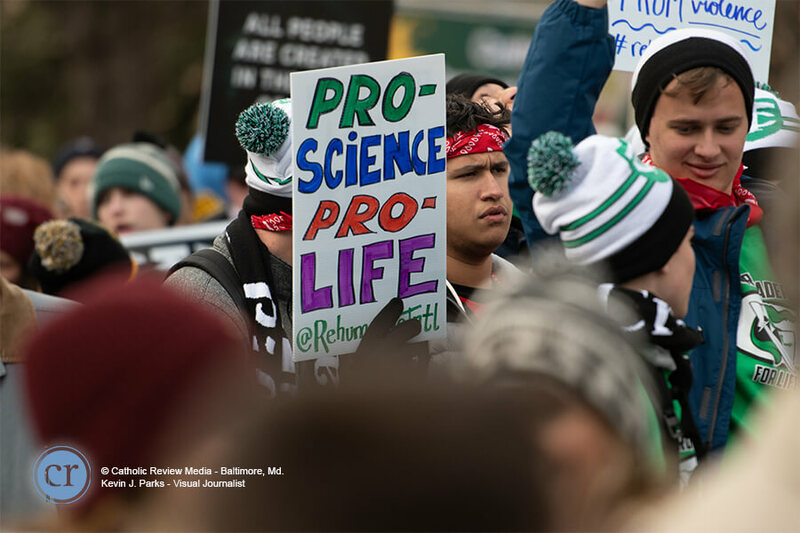 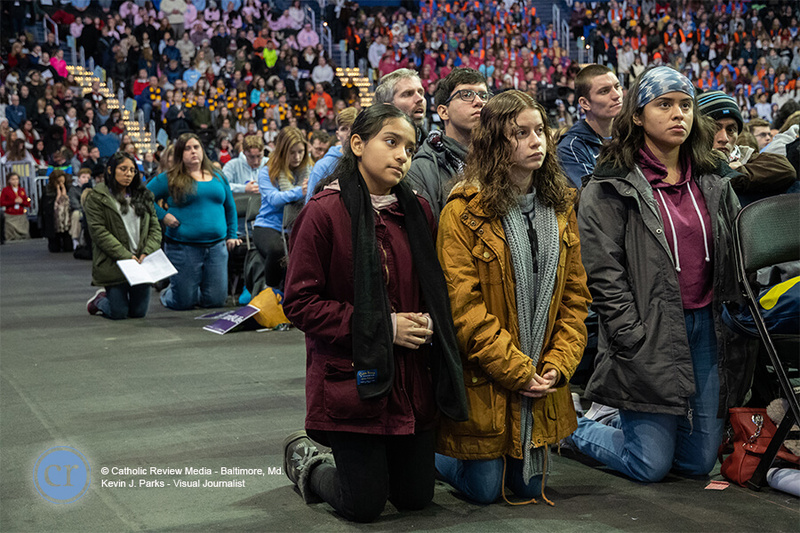 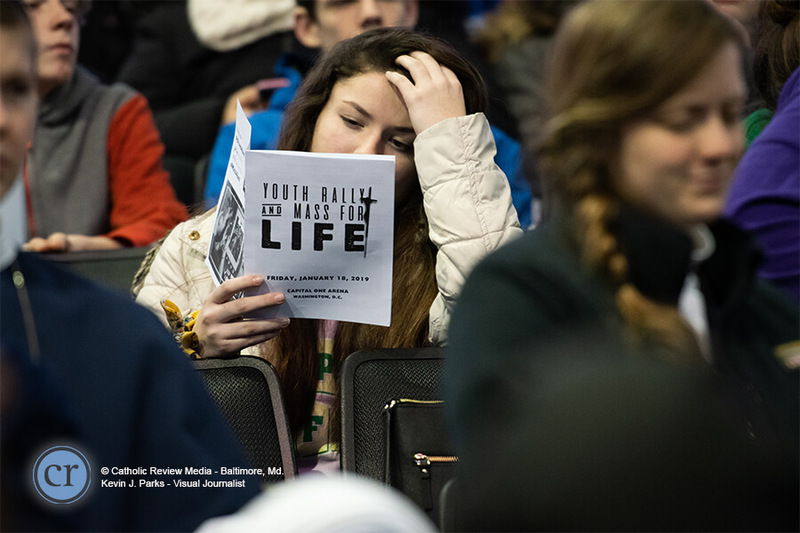 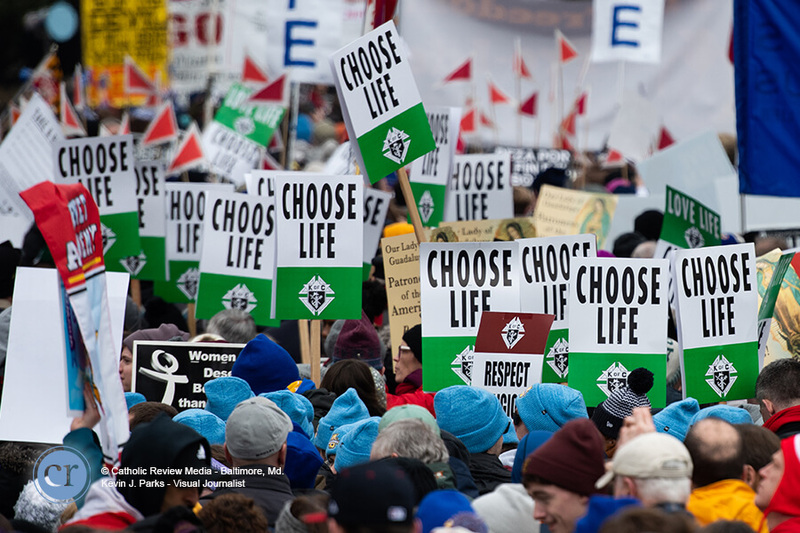 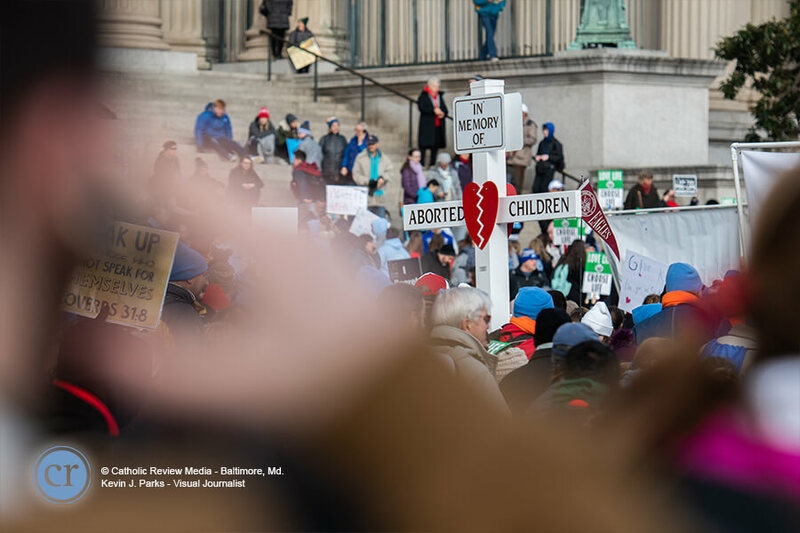 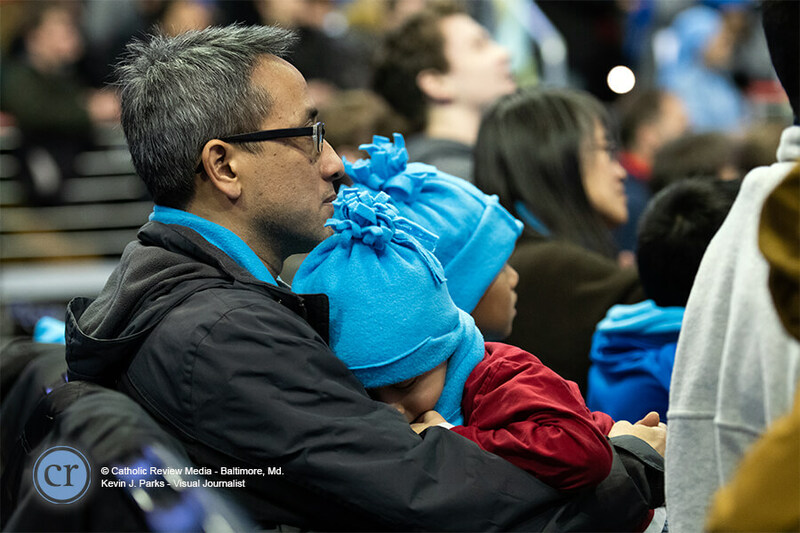 WASHINGTON, D.C. – The Archdiocese of Baltimore added to the massive pro-life presence Jan. 18 at the 46th annual March for Life and the youth rally and Mass that preceded it at Capital One Arena. 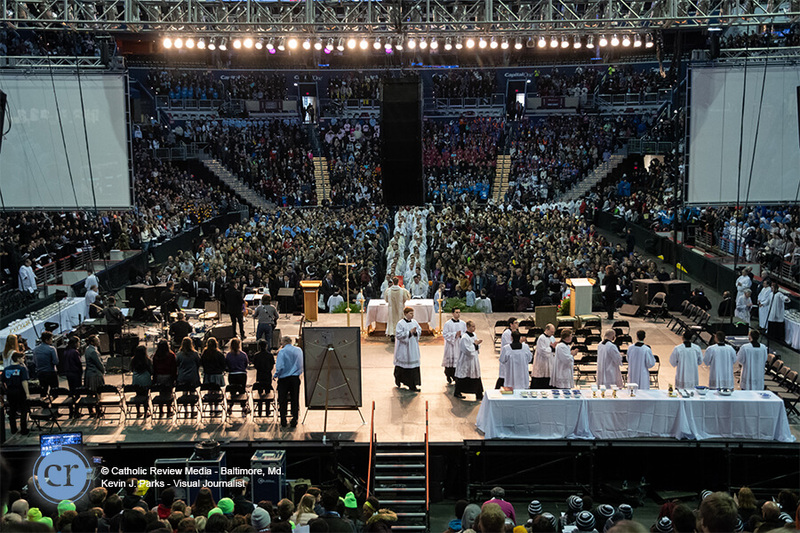 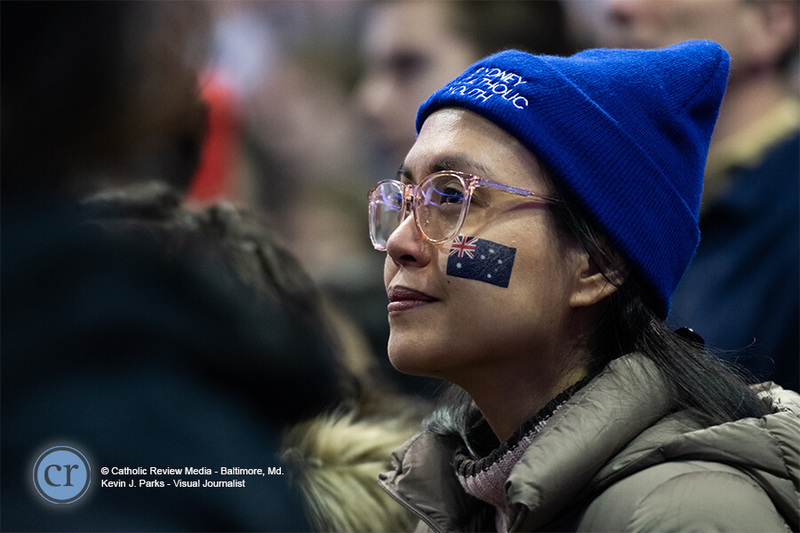 The arena was standing room only, with visitors from as far as Sydney, Australia, among those participating in the 8 a.m. youth rally. 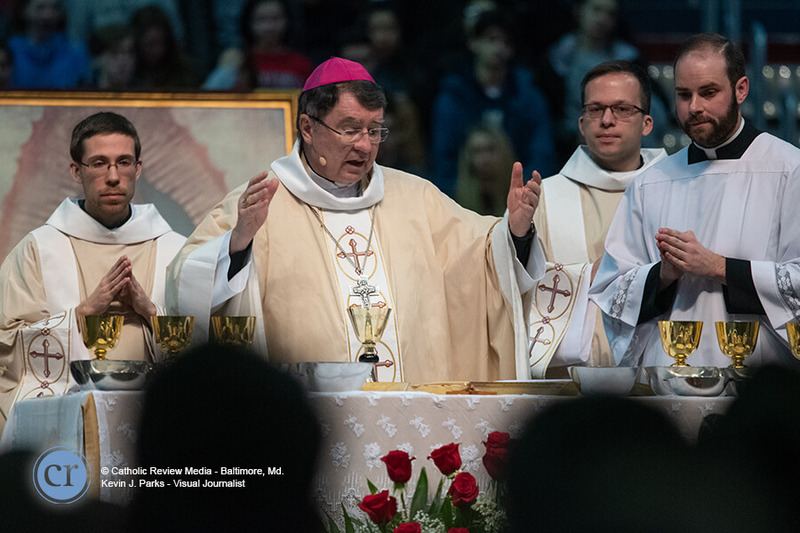 Chants and cheers could be heard through the lobbies and down the halls until Mass began with celebrant, Archbishop Christophe Pierre, papal nuncio to the United States. 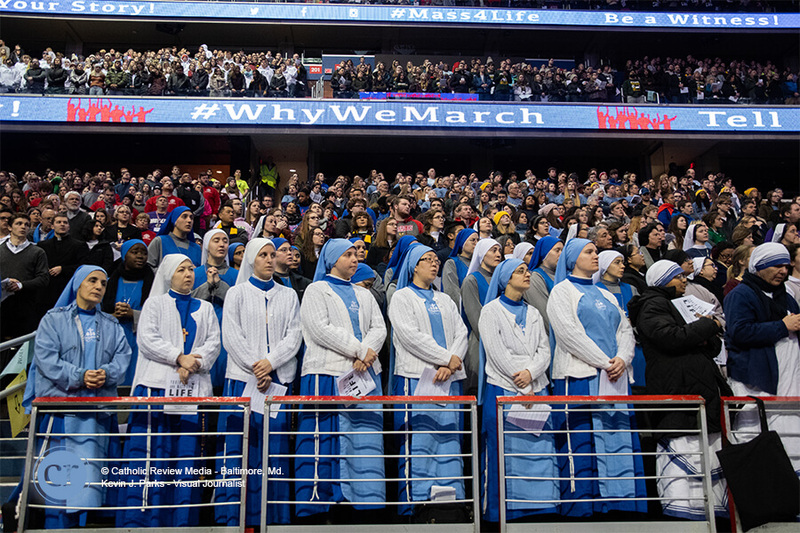 Students from Archbishop Curley High School in Baltimore and Mount de Sales Academy in Catonsville were among the Capital Arena crowd. 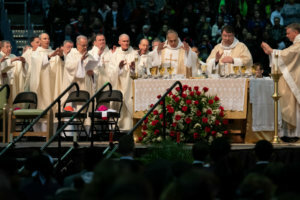 Concelebrants for the liturgy included Baltimore’s Archbishop William E. Lori, Bishop Denis J. Madden, Bishop Adam Parker and Bishop Mark Brennan. 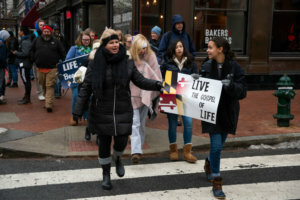 The March for Life itself included John Bruchalski, a parishioner of St. Philip Neri in Linthicum Heights, attending as an example for his 13-year-old daughter. 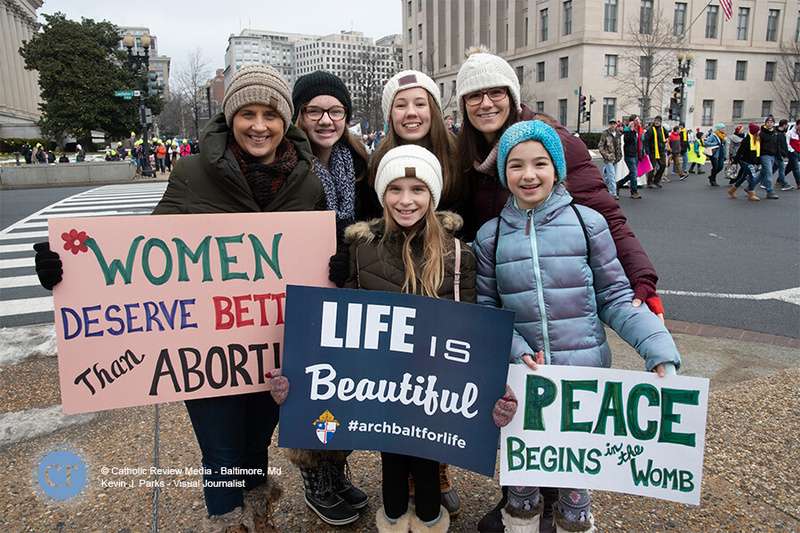 As a father, he said, “we teach our children good faith and morality and believe as Christians, all life is important.” He emphasized the strength of having both a mother and father who support the pro-life movement. 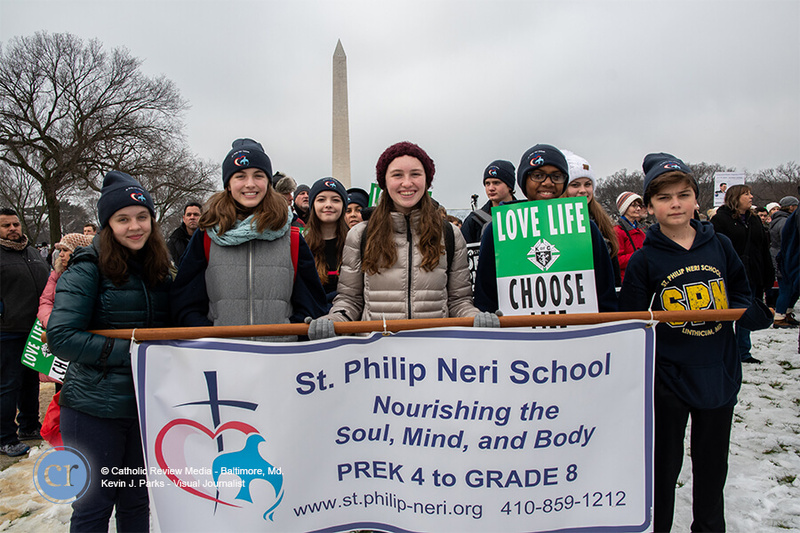 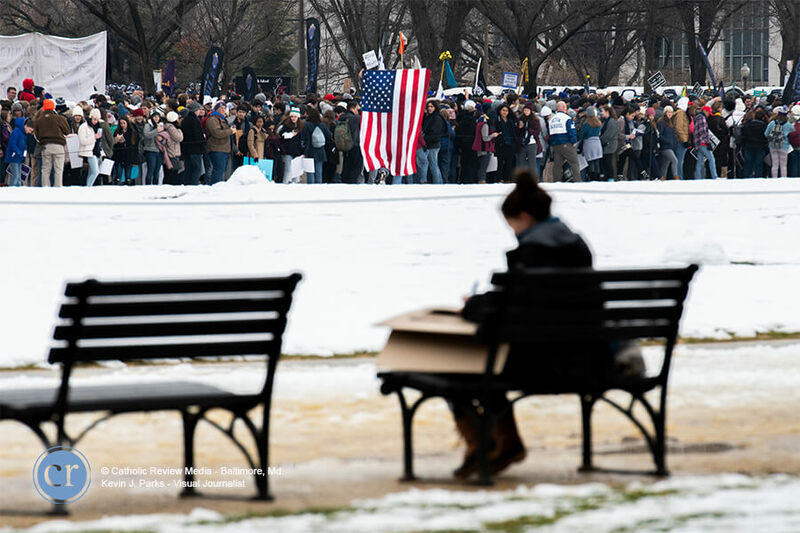 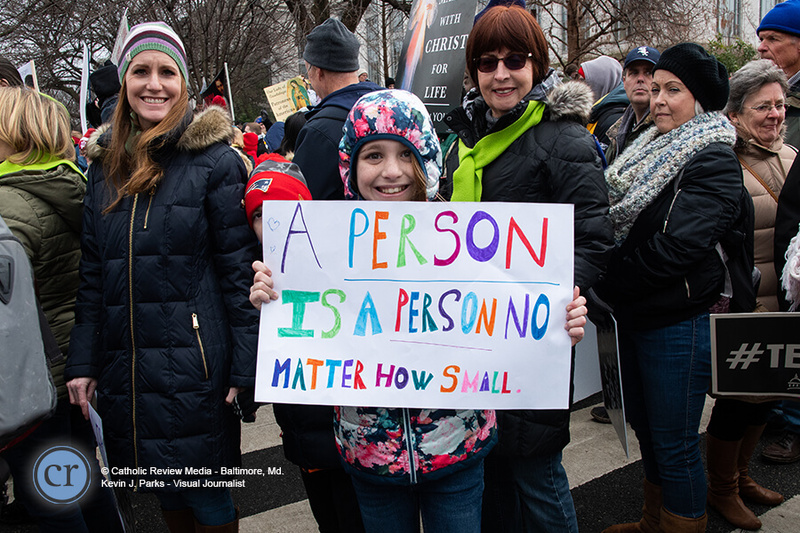 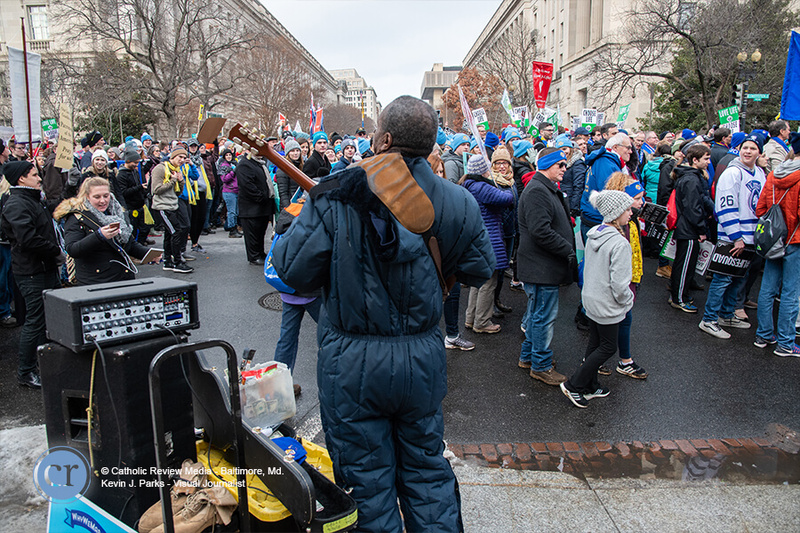 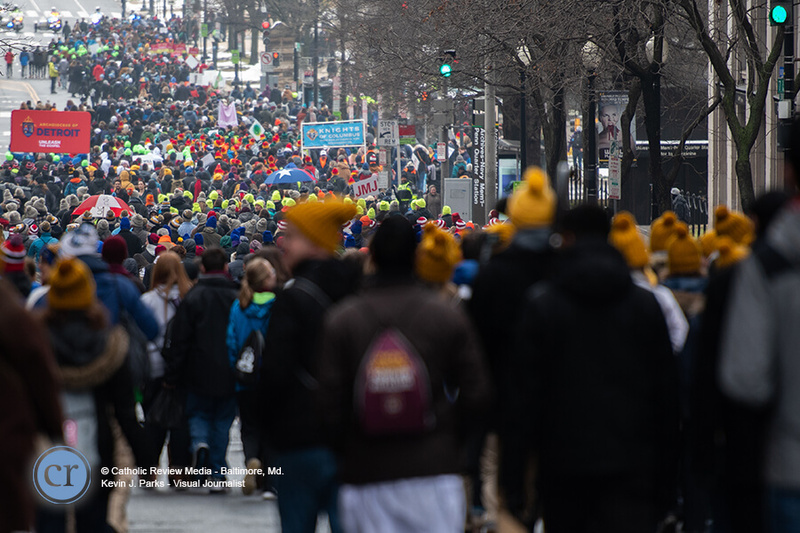 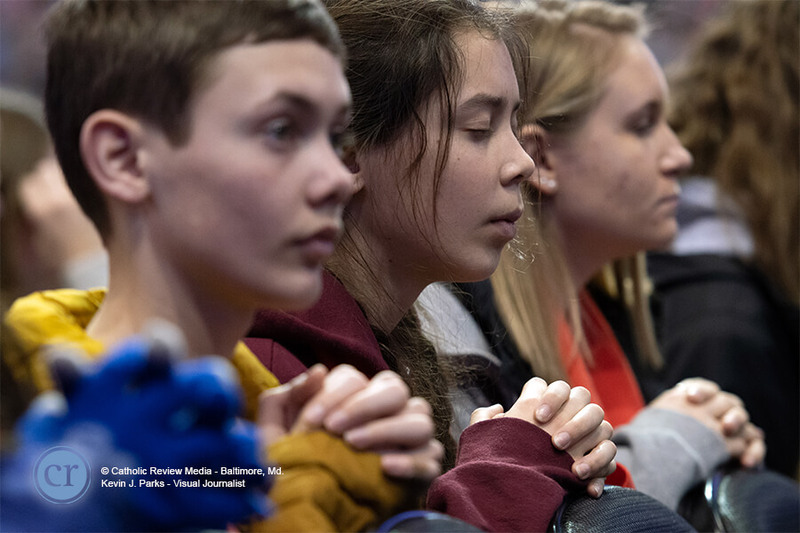 Molly Stahovec, also a parishioner of Immaculate Heart of Mary and a student at its school, participated in the March for Life “to keep my generation active and aware.” She looked forward to telling her friends about the event when she returned to school. 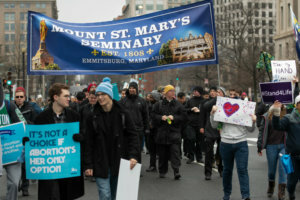 Mount St. Mary’s University in Emmitsburg sent a busload of enthusiastic students. 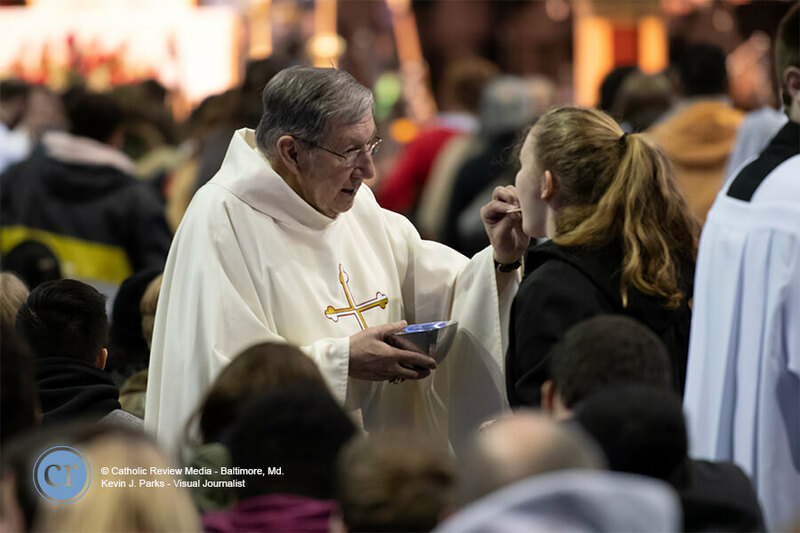 Among them were senior Liz O’Hare, who said that even though she had attended the March for Life while in high school, it wasn’t until she was the Mount that she felt the true gift of being a participant. 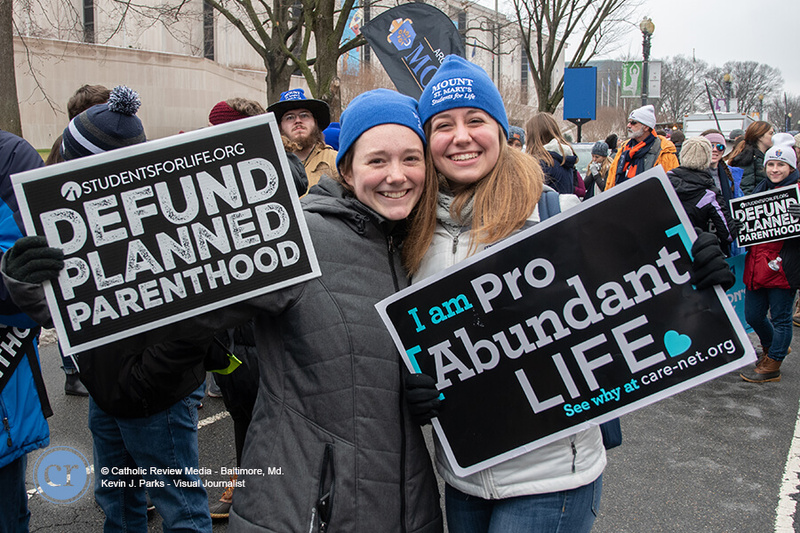 On Jan. 17 O’Hare was among those chosen to attend a “Students for Life” event at the White House with Vice President Mike Pence. 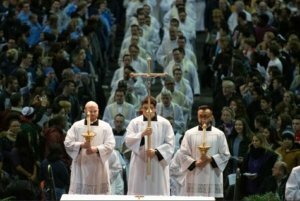 When the invitation came with just two days notice, O’Hare was shocked and filled with excitement. 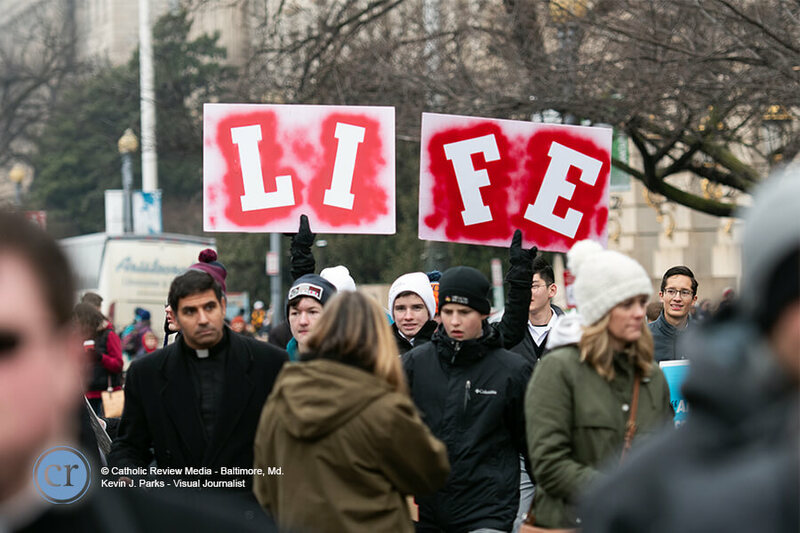 “Mike Pence has done so much good for the pro-life movement and to hear how passionate he was about the cause made me very comfortable to speak to him and ask any questions,” O’Hare said. 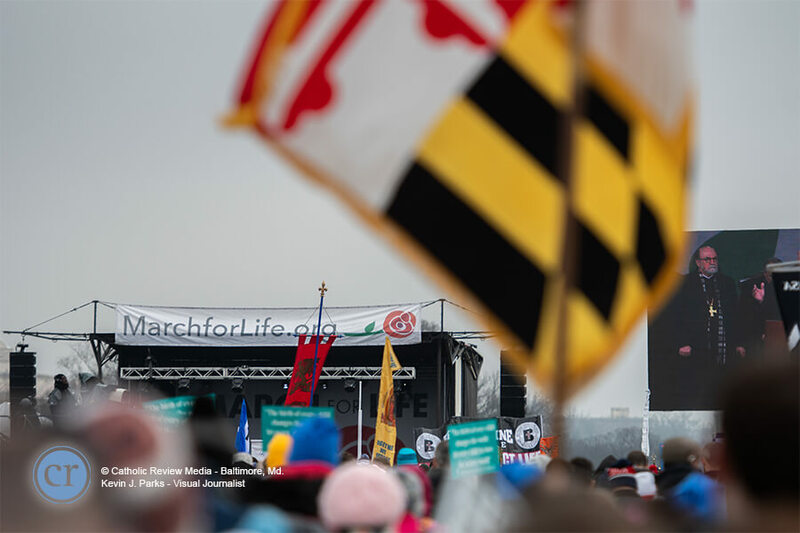 Kathleen "Katie" Sukeena is the former social media specialist for the Archdiocese of Baltimore and the Catholic Review. A native of Philadelphia, Katie is a graduate of Mount St. Mary’s University, where she worked as a recruiter in the admissions office for three years. 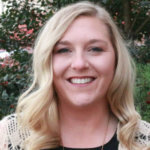 She earned a bachelor's degree in communication and a master’s degree in business administration with a concentration in marketing.